In Germany, Israel's main European backer, the right is growing as a result of Merkel's policy and the migrants bring anti-Semitism with them. Germany has been Israel’s major political backer over the past decades in an increasingly morally degenerating Europe. Even if only for this reason, it is important for Israel to closely follow what is happening in that country, and to assess whether the considerable emerging changes are relevant to it. Israel’s main current worry however, should concern the potential impact on the local German Jewish population of the expected arrival of an estimated million refugees in the country this year and additional hundreds of thousands thereafter. Many of them come from extremely anti-Semitic Muslim countries and have imbued anti-Semitism since childhood. An unsigned paper which recently circulated amongst high level security officials in the Federal government expressed dismay about the way in which Germany, in its “open-arms” policy toward the refugees, was importing Islamic extremism, Arab anti-Semitism and national and ethnic conflicts of other nations by letting people in with a very different attitude toward society and the rule of state law. The analysis of the changes taking place in Germany is complex as new information is constantly emerging. One has to differentiate between short term problems and what may possibly constitute long term changes. The probable short term issues are easier to identify. These include the difficulties in dispersing the asylum seekers throughout the country, the resulting tension between the two Christian coalition parties, Angela Merkel’s Christian Democrat Union (CDU) and Horst Seehofer’s Bavarian Christian Social Union (CSU), frictions with Austria regarding the way in which refugees are allowed to pass through its territory, and tensions with Eastern European countries which refuse to absorb asylum seekers. These latter are no longer limited to Hungary, the initial leading opponent of mass immigration. These countries have enough problems of their own. They have also observed how problematic the integration of many of the Muslim immigrants in Western Europe has been in the past. In addition, the abuses perpetrated during Turkish rule, are enshrined in local history even if these events happened hundreds of years ago. Once the stream of immigrants lessens, these tensions are also likely to diminish as they are not necessarily perpetuated by practical factors. Another issue where there is less clarity how it will impact concerns the promises Merkel has made to Turkey’s President Recep Tayyip Erdogan, with regard to promoting Turkey’s case for EU membership. The long-term issues are far more difficult to discern. It is helpful to try to understand what is behind Merkel’s policy of open borders. As a result Germany has taken in far more refugees in the past few months than all the other EU countries combined. A number of motivations come to mind. Perhaps Merkel is seeking to offer the ultimate proof that Germany has changed, and that the new Germany has totally distanced itself from the indelible image created by Nazism. In sharp contrast to the country which expelled or murdered those it defined as outsiders, meet the new Germany, which offers a warm welcome to third world immigrants. A further reason probably lies in Germany’s low birth rate, and its desperate need for foreigners in general, and young people in particular, to beef up its workforce. A further possible reason implies that Merkel may desire to go down in history with this huge gesture. Her CDU predecessor, Helmut Kohl made major history. After the Berlin wall opened in 1989, Kohl promoted the unification of the two Germanies. It can be more aptly described as the takeover of East Germany by West Germany. Each of these factors requires further analysis. Given the country’s pre-war and post-war history, it seems nonsensical to believe that there is a unified “new Germany” without prejudices. Attitudes toward Israel are indicative of the current true nature of the country. Many polls over the past 10 years have shown that more than 40% of Germans consider Israel’s behavior toward the Palestinians to be similar to that of the Nazis, and that Israel is conducting a war of extermination against the Palestinians. Merkel’s policies may lead to the end of her Chancellorship, either through an internal revolt in the CDU or through losing the next elections. With this kind of widespread evil mindset, the assumption that there is a huge majority of “new Germans” desiring to present a radically opposite view of “Germany now” as opposed to “Germany then” is unreal. Many people in Germany genuinely want to welcome the refugees. However, there are also many people in Germany who strongly oppose Merkel and her refugee policy. Part of them are mainly concerned about the potential burdens that may result, whether general or economic. A poll in October showed that 54% of the population are worried about the refugee policy. Germany’s low birth rate is a genuine problem. In the period 2008-2013 Germany’s birth rate was 8.2 births per thousand citizens aged 20-65. This makes it the lowest birthrate in the world, even lower than Japan. To believe that refugees mainly from Muslim countries will work to pay much of the pensions of an aging indigenous German population is a conceptual error. This approach has already been disproven elsewhere in Europe. In terms of going down in history as a great chancellor, Merkel is playing a very risky game. Merkel’s policies may lead to the end of her Chancellorship, either through an internal revolt in the CDU or through losing the next elections. Yet another issue looms in the background. Traditionally the European Union has been dominated by a Franco-German axis. This was the case until the socialist François Hollande defeated the right-of-center outgoing president Nicolas Sarkozy in France’s 2012 elections. Merkel’s predecessors often voluntarily gave a disproportionate weight to France in the EU partly out of fear that the “soul of the Germany which had committed unspeakable crimes” might rise again. Slovenia’s Prime Minister Miro Cerar’s remark that the refugee crisis may spell the end of the EU seems unrealistic at this time. Yet with Great Britain going to the polls about a possible exit from the EU, the forces to dilute Brussels’ power and competencies are strengthening. The above is a lengthy introduction to the implications of the current crisis for Germany’s Jews. Two issues are at stake here. The first concerns the impact of the newcomers, many of them anti-Semites. 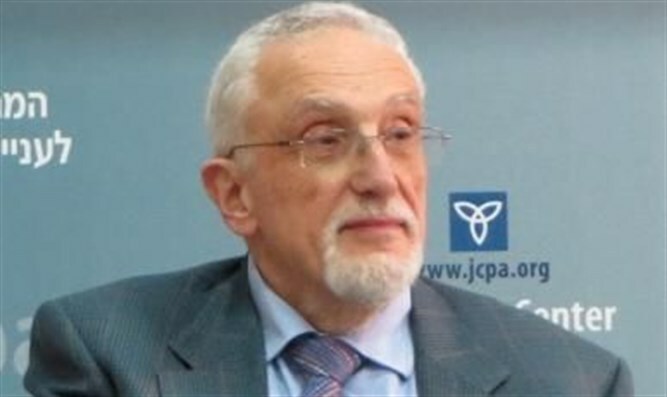 Senior figures of the German Jewish Community, among them Josef Schuster, the President of the Jewish umbrella body Zentralrat der Juden in Deutschland, Lala Susskind, former head of the Berlin Jewish Community, and anti-Semitism expert Levi Salomon have expressed their fears publicly. The German press may well be under-reporting current problems within the asylum centers, which includes the persecution of homosexuals and non-Muslims by Muslims. One recent news item concerned the murder of an asylum seeker by another on the island of Sylt. The organized right in Germany consists of various components. These include the neo-Nazi party (the NPD), various other neo-Nazi groups, the new anti-European AFD party which is rising in the polls, and the anti-Islamic group Pegida, which operates predominantly in Eastern Germany. Last year already saw the Jewish community criticizing Pegida, because of their anti-Islam campaigns. In summary, Chancellor Merkel with her seemingly generous refugee policies may have called up many potentially dark forces which may prove difficult to control. This in itself is enough reason for Israel to follow events and changes in Germany, its main backer in Europe, very closely indeed. Stefan Aust and Claus Christian Malzahn “Sicherheitsexperten entsetzt über deutsche Politik,” Die Welt, 25 October 2015. Emma Graham-Harrison, “Still the refugees are coming, but in Europe the barriers are rising,” The Guardian, 31 October 2015. Tony Patterson, “Refugee crisis: Merkel offers 'dirty deal' on Turkey EU membership in exchange for help to stem flow of migrants,” The Independent, 18 October 2015. “Mehrheit besorgt über Folgen der Flüchtlingskrise,” Frankfurter Allgemeine, 20 October 2015. Ambrose Evans-Pritchard, “Germany dominance over as demographic crunch worsens,” The Telegraph, 1 June 2015. “Parallel Universes in Paris and Berlin: Is the Franco-German Axis Kaput?” Spiegel Online International, 22 October 2012. Nikolaus Blome, Sven Böll, Katrin Kuntz, Dirk Kurbjuweit, Walter Mayr, Mathieu von Rohr, Christoph Scheuermann, and Christoph Schult, “Das Vierte Reich,” Der Spiegel, 21 March 2015. Levi Winchester, “Migrant crisis will be the END of the European Union, Slovenian PM warns,” Express, 26 October 2015. Allan Hall, “Germany's Jews living in fear of thousands of Muslim refugees raised to be anti semitic,” Express, 15 October 2015. "Gewaltbereitschaft fast in der Mitte angekommen," Die Welt, 22 October 2015. “30 Angreifer attackieren Syrer mit Baseballschlägern,” Die Welt, 1 November 2015. “Zentralrat der Juden nimmt Muslime in Schutz,” Zeit Online, 20 December 2014.